It is now 36 years since the end of the Khmer Rouge regime that all but destroyed the Cambodian nation, decimated its most educated people, and reduced the country to year zero. Amazingly, the young foreign minister who emerged from the debris in 1979 is still in power. 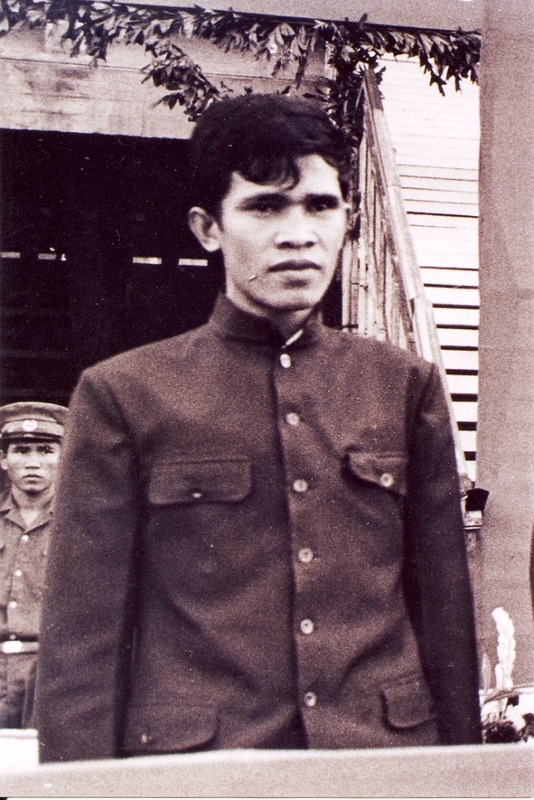 Hun Sen, then a gaunt-looking 27-year-old, was drafted from the obscurity of a Vietnamese camp for Cambodian dissidents and defectors to serve in the newly installed Heng Samrin government. His parents were poor rice farmers. He entered politics without any diplomas or degrees. From the world’s youngest foreign minister in 1979, he currently ranks as the region’s longest-serving prime minister. Hun Sen’s Cambodia by Sebastian Strangio, a former journalist with the Phnom Penh Post, helps to fill a number of historical gaps in charting the rise of Hun Sen through the 1980s to the 2013 elections. The young foreign minister was a fast learner. Appointed prime minister in 1985, Hun Sen soon boldly charted an end to the civil war. In 1989 he gave the country a new name — the State of Cambodia — as well as a new flag and constitution, and shrewdly paved the way for an eventual peace settlement in Paris. Cambodia has clearly made great progress in the last 30 years. The nation was reborn in the 1980s. Peace returned in 1999. Cambodia long ago lost its regular place on TV news as one of the world’s most dangerous war zones. The magic of the ancient temples of Angkor and the nation’s cultural revival now once again captivate visitors. Both tourism and the garments industry have fueled economic growth. In Cambodia’s last election, Hun Sen’s ruling party suffered a stunning loss of 22 seats, with the united opposition coming in a strong second with 55 seats in a national parliament of 123 members. It’s too soon to dub this a “Phnom Penh Spring,” but Cambodia’s political diversity is more than just a mirage, particularly in comparison to the long-serving prime ministerial reigns ofMahathir Mohamad in Malaysia (22 years) and Singapore’s Lee Kuan Yew (31 years). Malaysia and Singapore have never tolerated the strikes, protest rallies, and vociferous opposition that are all welcome features of Cambodian political life. 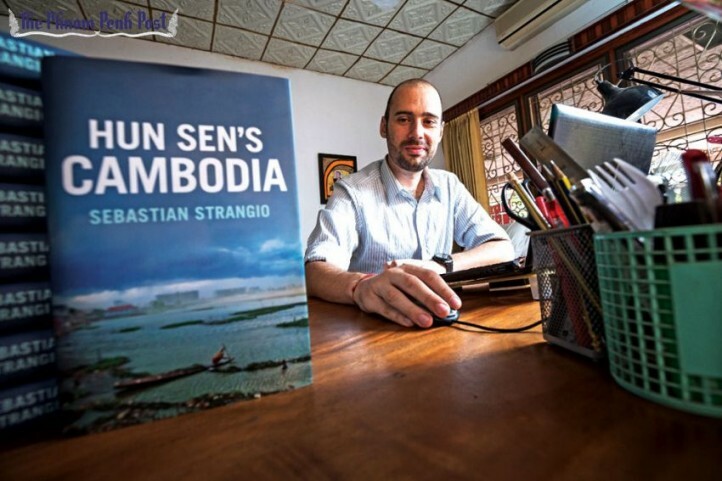 Cambodia, according to Strangio, was the nation where the UN and Western aid lavished billions of dollars on peacekeeping, implanting liberal democracy and human rights. The author assumes that Cambodia could make a smooth and rapid transition from the genocide and cruel deprivation of the 1980s to a shining beacon of democracy today. Of course that fantasy has not happened. The author concludes that the ruthless intransigence of Hun Sen and his ruling party, abetted by a traditional Cambodian resilience to foreign mentors of all ideologies, thwarted the allegedly benign, well-meaning Western efforts since the end of the Cold War to create a democratic success story. In so doing, the author fails to detect a “mirage” of a different nature that did not come from any Cambodian failures, but can be squarely laid at the door of Western nations sitting in the UN Security Council. The UNTAC peacekeeping operation has been widely hailed as a great success story that ended the Cambodia conflict and ushered in a putative new democracy. The UN-run election in 1993 did help implant democracy in Cambodia. However, the author glosses over the failure of UN peacekeeping and Western nations to get rid of the Khmer Rouge bases sustained and supported by the Royal Thai Army in blatant violation of the 1991 Paris Peace treaty. From 1993-1998, the Pol Pot nightmare continued to haunt the fragile new state. The Khmer Rouge still controlled the gem-rich border province of Pailin and Anlong Veng to the north. They still planted landmines and burned down remote villages that defied them. The war continued because the United States, France, and the UK all gave a much higher priority to preserving their deep military and trading ties with Thailand than putting pressure on this important ally and its military to sever the supply lines to the outlawed Khmer Rouge. It was an elected Cambodian government led by Hun Sen — and not the UN — that finally eliminated the Khmer Rouge insurgency. On this point the book accepts that many voters in the 2003 election felt relief the war was finally over and rewarded the government with a strong mandate. Having secured the peace where the UN had failed, Hun Sen reached the zenith of his popularity at home. In 2003, I wrote that if Hun Sen had retired around this time, his achievements and his legacy would have outweighed his dark side. But since peace and stability returned to Cambodia, corruption and looting of natural resources have boomed, with the prime minister’s close associates as the main beneficiaries. The book rightly points out that 20 years of Western aid has only spawned an aid-addicted dependency. But Hun Sen hardly invented crony capitalism, corrupt patronage, or the skimming off of foreign aid. The World Bank’s neoliberal development model of sweeping privatization and starving the public sector of any significant aid has also encouraged or tolerated cronyism in the scramble over newly privatized assets and the mass eviction of the urban poor. The opposition has failed to offer a real alternative to Hun Sen’s adoption of the neoliberal model of development designed by the World Bank. Neither side has come up with policies that could narrow the yawning gap between rich and poor. Hun Sen must take a lot of responsibility for the ugly side of Cambodian development. But the book’s depiction of Western government aid as always benign and benevolent suffers from a lack of critical questioning. Strangio dismisses the landmark trial of a few surviving leaders from the genocidal Khmer Rouge regime — Asia’s first case of international justice — as just another deception. But the complex UN-backed tribunal brought together local and international lawyers and judges based on a UN partnership with the Cambodian authorities. Many cynics predicted that the trial would never take place. Whatever the shortcomings of this legal process, millions of Cambodians belatedly experienced a very real justice. They finally saw Pol Pot’s chief accomplices held to account, given a fair trial, and convicted of crimes against humanity. According to UN legal expert Lars Olsen, Cambodian participation in the process exceeded that for all previous international justice courts. 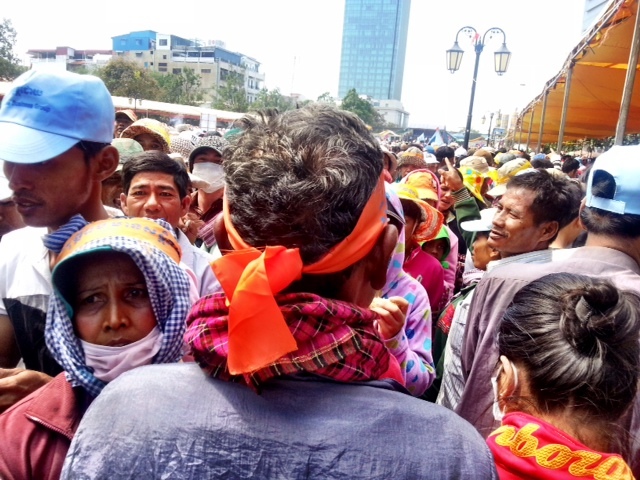 In addition to the 500 Cambodians who filled the public gallery day after day, they also participated as victims and litigants known as “civil parties.” Most victims have expressed some satisfaction that the tribunal brought a sense of accountability, closure, and justice. That Cambodia was brave enough to face its tragic history should alone command international respect. Indonesia is still afraid to document and investigate the skulls in its own cupboard: the massive bloodbath in 1965-66, with an estimated 900,000 dead, and the subsequent atrocities in East Timor. If the United States and its allies had not helped the Khmer Rouge hang on to Cambodia’s seat in the UN General Assembly and blocked the credentials of the Heng Samrin government, this genocide tribunal could have taken place more than 25 years ago, as Hun Sen proposed in 1986. As it is, the ongoing tribunal is a case of far better late than never. Why has Hun Sen, a leader from such humble origins, subsequently turned his back on the poor majority of Cambodians and their cry for land and justice? What kind of egomania has driven him to want to remain prime minister until the age of 72? Strangio should have put these questions to Hun Sen in an interview. Yet despite five years of commendable research, Strangio’s book doesn’t rely on any interviews with his prime subject. So we never get any of the answers that might have truly illuminated Hun Sen’s character, or any deeper insights in why he has chosen the path of electorally sanctioned authoritarianism and feudal-style patronage — a hallmark of the 1960s under the rule of Prince Norodom Sihanouk. Tom Fawthrop is a frequent contributor to ExSE. He directed a Cambodian film Dreams and Nightmares broadcast on UK Channel 4 in 1989 and has interviewed Hun Sen on three occasions. He is also co-author of the book ‘ Getting away with Genocide?” Pluto Books 2004. This review was originally posted here on the FPIF website on February 15, 2015 and is reposted with the permission of the author. PHNOM PENH – Cambodia, a nation once traumatised by the ‘Killing Fields’ of the Pol Pot regime in the 1970s, has come a long way since then in rebuilding the nation from year zero including the holding of elections, and the creation of a multi-party system. But the recent flood of hate-mail and death-threats sent to Mr Ou Virak, the president of CCHR (The Cambodian Centre for Human Rights) in the capital Phnom Penh, points to a society still dangerously divided over ethnic and racial issues.